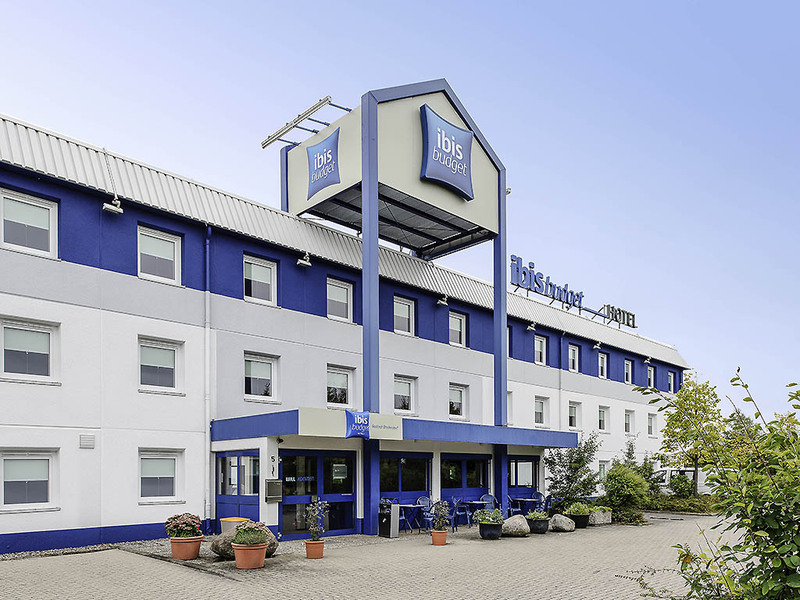 Hotel ibis budget Rostock Broderstorf. Book now! Free Wifi! We stayed a night in the Ibis Hotel in Rostock, Germany. We were a family of 4 and you can only stay max 3 persons in one room so we booked 2 rooms. The staff was really nice and the rooms very clean. The breakfast was good and it had what you needed. It didn’t cost that much and is really recommandable. It is easy to find from the highway in Rostock. The wifi is free and worked without problems. Good hotel and service but I made the mistake of choosing a location too far from restaurants and transportation. Enjoyed the comfortable and clean room. Received good assistance upon check-in. Should have stayed in the city center as there was not one restaurant within walking distance and the closest bus was about 3 k's away. My mistake The location should be advertised only for those with car transport, not those using a bus or walking. It was extremely satisfying, this is the third time I have stayed at the ibis budget Broderstorf and I doubt it will be the last. The rooms I have stayed in are always clean, smoke free, comfortable and just right for getting a good nights sleep. It's all well and good having a posh expensive hotel but what more do you want than a clean, comfortable bed after a days work or visiting a place or people? The answer is rhetorical as that is all I am my travelling companions need, just that a place to sleep. I stayed for two nights, had an enjoyable visit in Rostock and Warnemünde and may be back next year to visit further east. The weather was mixed, so I was happy to have my little car available. The hotel provided some material, maps etc that made it easy to choose places to visit and to eat. Surprised that the staff was at the reception at 23.30. We expected to use the automatic system for getting the room number and code. Room very OK as we as breakfast. Excellent welcome by all the staff. Copious breakfast. Room clean. Problem with shower taken care of quickly. It was pleasant and quick service, some noice from nabour room but according to reasonable price everythng was ok. It starting to be lack of parking outside ? We are always pleased to stay at your hotel group. Clean rooms and nice people.